No news on what effect this will have on players who opted to purchase the fairly expensive pre-release packs which contained many items geared towards the Free-to-Play model. An unfortunate turn of events for free-to-play fans awaiting such a promising new title. 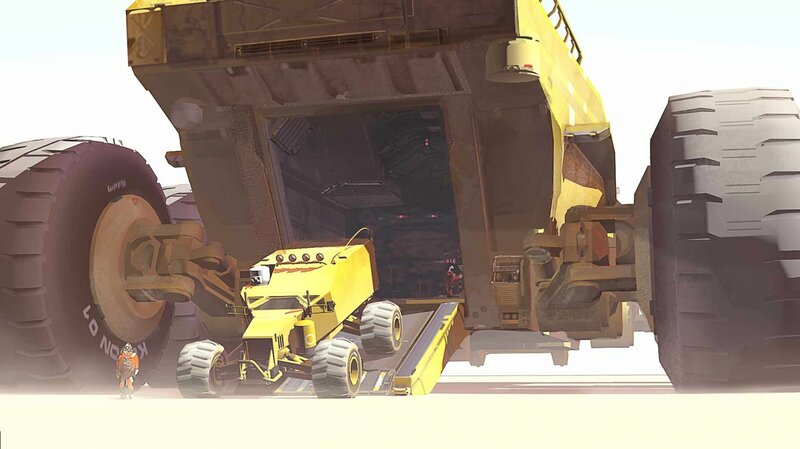 Would you still be willing to purchase Homeworld: Shipbreakers? They have more money now, so shouldn’t it be the other way around if anything? Maybe it’s just me but I fail to see how a buy 2 own or subscription payment model would cost more to operate than a F2P model since the F2P requires the publisher to invest alot more in the beginning until people start buying stuff from cash shops. Seems like a lie to me. Okay. So its buy to play now? Or is there a subscription as well? Guess I’m not going to bother then. Well that my opinion you may not like it . But if it was originally announced as a free to play and later converted to pay to play than it is wrong . It is cheating. Though if it was just rumoured that it was free to play and they didnt claim it free to play officially than its ok .
Well it’s not really surprising. F2P is a good model for self published games by smaller studios because it can start generating revenue quickly which in turn can fuel the game’s continuing development. That’s why we often see cash shops already accessible during the beta stage. Now that Blackbird got some better funding and with Gearbox backing them up it might be easier for them to go with the more familiar route of a traditionally released title. The F2P market may be lucrative but it’s still developing and I think many game designers are still not very used to it, especially when it comes to the monetization model. Personally I’m still very interested in the game though, I loved the Homeworld games. You obviously have nothing else to say over the internet, sir. Why the hell did you even bother commenting LoveF2P? And I agree with a lot of the things Aqua10 has said. Sometimes I feel F2p is a tad overrated, it is by no means a bad business model for games. It’s just something I can’t see AAA titles having a need to use. Look at ESO for example, I doubt they’ll ever consider going f2p with the large following that the Elder scroll’s titles has, it’ll basically become the next WoW if the game itself is good. World of Warcraft on the other hand is probably considering the f2p model due to the large competitors that they’ll be facing in the coming years (ESO, Wildstar, Black Desert Online.) and the fact that the game itself is starting to lose popularity. They’ll have to do just like Turbine which did an amazing job at adapting to the f2p model and continues to juice out quality content at least for lotro. In summary I don’t think that F2p is the future, at least not with the current things I’ve been reading, It’s an ever relevant option and a nice model that can boost revenue when the situation calls for it, but games such as ESO hardly need to look towards it to gain anything.